I always loved going into record stores years ago, The smell of new plastic and the ocasional smell of a fart done by myself, the sounds,video games, millions of cd's..........but as much as I love the internet it did feck up a lot of stuff, example.... Hardly any record stores any more because everybody likes to buy music online or find there music on awesome sites like theardeeman.com. But I came accross this great site called recordstores.com. 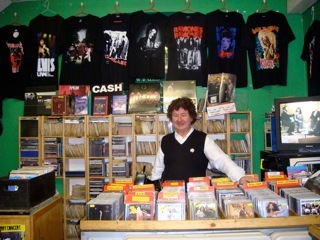 It lists a ton of music stores all over the world but yet none it feckin Ireland.I am linking recordstores.com in the link section of the blog. 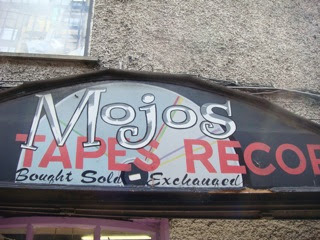 When I was home last year I made a trip to a record store in dublin called mojos records in temple bar and i must say the owner was an interesting character with his big lovely hair. FRED: 9 Pogo Stick Backflips FAIL! Cloud Nothings - "Can't Stay Awake"